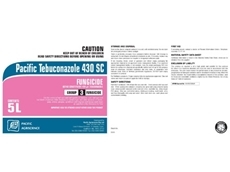 Active control of diseases on crops including bananas, peanuts and beans with Pacific Tebuconazole 430 SC Fungicide. High performance control of specific fungal diseases found in some fruits, wheat, sugar cane and crops. Farmoz is a major supplier of crop protection products and spraying tools. Pacific Agriscience Pty Ltd operates as an International company specialising in Agricultural Chemical Products including Growth Regulators, Herbicides, Insecticides, Fungicides and Wetting Agents. 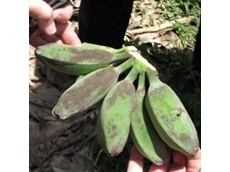 10/10/13 - A fungal disease which was found in the Cavendish banana variety in August has become a catalyst to the destruction of banana trees across the Northern Territory. 18/07/11 - Farmoz provides a quality range in fungicide solutions in crop protection for resellers and growers that are concerned on their crops could be suffering from various cereal fungal diseases.